If you’re dreaming of the New Citroën C5 Aircross, be sure to come visit us in Blackpool and Morecambe between the 8th and 17th February, not only to get an exclusive look at this robust new model but you could also be lucky enough to win your very own. All you need to do to be entered into the prize draw is come down to the showroom any time between Friday 8th & Sunday 17th of February and speak to a sales executive to register your interest in the New C5 Aircross. They will then take some of your details down to enter you into the draw, and don’t worry there is no funny business, your information will be deleted after the prize is drawn. The New C5 Aircross SUV is a new take on the classic SUV, with a robust and muscular design complemented by large diameter wheels. 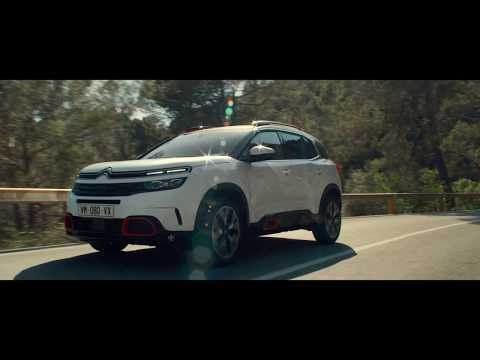 The C5 Aircross reveals a refreshed look on recognisable Citroën characteristics, demonstrated in the Airbump® inspired lower door, wheel arch protectors, roof bars and impressive range of options to personalise your vehicle. The Citroën Advanced Comfort® programme also has a prominent position with the New C5 Aircross, making it the most comfortable SUV in the segment, all thanks to two innovative Citroën systems, suspension with Progressive Hydraulic Cushions® and Advanced Comfort Seats. Easily adjustable seats make the C5 Aircross the most modular SUV in the segment, also boasting an impressive boot capacity, up to 720 litres, and over 20 driver assistance and connectivity technologies. 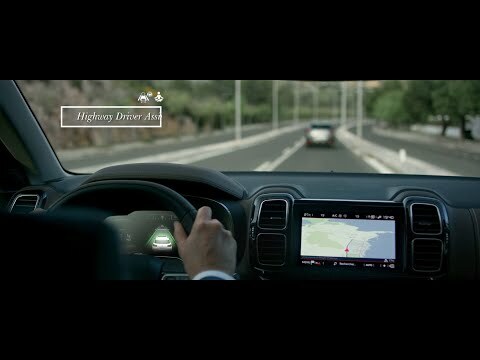 The New C5 Aircross provides passengers with cutting edge systems for continuity between the digital universe and their car, users can adjust the cars settings, control the multimedia system, telephone, air conditioning and navigation systems using the in car infotainment system. The New C5 Aircross also features a mirror screen function, Citroën Connect Nav, as an extended offer, the Citroën Connect Box with SOS & assistance included, plus wireless smartphone charging is also available.